Figure 1. Joseph Wright of Derby. The Alchemist in Search of the Philosopher’s Stone Discovers Phosphorus, 1771. Oil on canvas, 101.6 x 127 cm. Entering an alchemist’s laboratory with its strange equipment, weird smells, bubbling concoctions, the arcane symbols of Hermetic tradition and the figure of the alchemist, undoubtedly proved to be an intimidating experience. Since alchemy first challenged the authority of the Church, the relative status of specialized, scientific knowledge and high culture has been hotly contested. For centuries writers, as champions of culture, have retaliated against the claims of science by satirising its practitioners as being either evil, obsessive and possibly mad, or foolish and inept inventors whose experiments continually misfire. Examples of both these groups are discussed in their historical context. Around the end of the twentieth century a new genre designated «lab-lit» appeared. In this scientists are portrayed not as stereotypes but as ordinary people, pursuing science as they might any other profession within a life context and engaged with the ethical and sociological problems it involves. Reasons for the emergence of lab-lit are considered. Keywords: scientist stereotypes, lab-lit, alchemy, knowledge, power. When C. P. Snow, British chemist and author of eleven novels, coined the phrase «The Two Cultures» as the title for his 1959 Rede Lecture, he was intent on pointing out the deficiencies of the British education system which, he believed, favoured the humanities, especially the classics, to the detriment of scientific subjects. He also insisted that there was alarming ignorance by each group of even the most basic elements of the other disciplines, scientists never having read a Charles Dickens novel and humanities graduates having no understanding of even simple scientific terms (Snow, 1959). Despite the widespread debate the lecture evoked, little changed. Most scientists were, by necessity, too immersed in research to read anything other than the journal articles in their immediate discipline, and non-scientists were deterred by the language of specialization in any but popular accounts of recent scientific research. However, the rift was much older and deeper than Snow suggested. Having a foot in both disciplines he may have been unaware of the five-hundred-year-old enmity existing between the champions of two kinds of knowledge – on the one hand, traditional high culture guarded by the learned few and for centuries associated with the Church; and on the other the «special knowledge» that was the province of those trained in the «black arts» of alchemy and, later, in science. Pope John XXII’s condemnation of alchemy in 1317 (Duncan, 1968) was primarily about contested authority, an attempt to suppress this subversive power that was independent of kings, priests or generals. This «special knowledge» was, and still is, seen as both more difficult to acquire and more influential in what it promised to accomplish. Disregarding ecclesiastical condemnation, clients from all social strata visited alchemists in secret, lured by hopes of the wealth, power and longevity that alchemy professed to offer through the philosopher’s stone that would allegedly turn base metals into gold; an «elixir of youth» to cure illness, counteract ageing and even confer immortality; the unlimited power of perpetual motion; and the generation of a homunculus. Before we dismiss as foolish these promises of alchemy it is well to reflect that modern science offers a remarkably similar list of attractions, appealing to greed by generating valuable resources; to the desire for longevity with anti-ageing compounds; and offering «free» power, sequentially identified as electricity, solar, wind and nuclear power. And while we may no longer yearn for a homunculus, we are no less eager to produce life by artificial means, for our own ends, on our terms and in our own time. Such promises appeal to the most basic human weaknesses and desires – greed, vanity, manipulation, hubris and the desire for power. Despite its allure, alchemy was also regarded with suspicion, not merely because of the Church’s caveat. 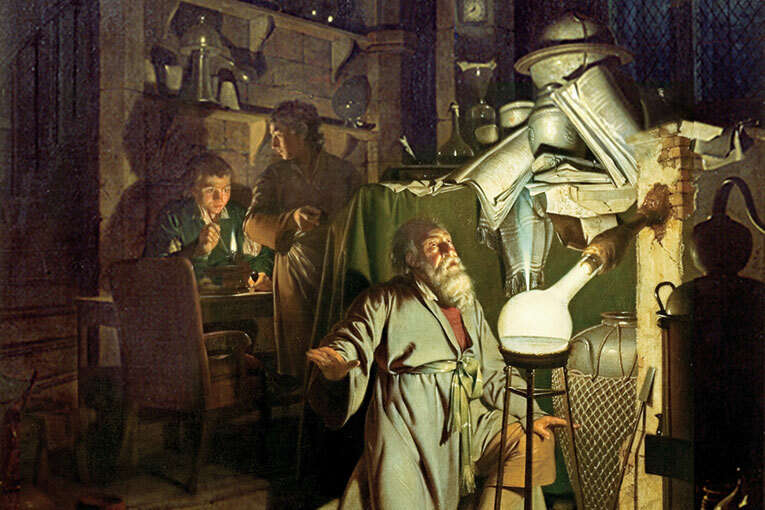 Entering an alchemist’s laboratory with its strange equipment, strange smells, bubbling concoctions, the arcane symbols of Hermetic tradition and the figure of the alchemist was no doubt an intimidating experience, as depicted in Joseph Wright of Derby’s The Alchemist in Search of the Philosopher’s Stone Discovers Phosphorous (Figure 1). Alchemy was feared as much as it was desired and this mistrust still attaches to the Pandora’s box of science. Instances of disasters associated with seemingly wonderful scientific «break-throughs» remain clear in recent memory: Three Mile Island, Chernobyl, Fukushima, increasingly frequent environmental disasters, the unforeseen side-effects of medical and cosmetic drugs and procedures, the socio-ethical problems of genetic engineering. 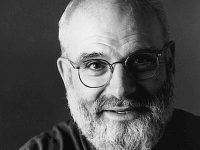 There has been ample ammunition for humanists to launch against science and through the centuries writers of fiction have drawn on it to frame a counter-weapon, a cluster of myths denouncing such specialized knowledge. Figure 2. The parodic characterization of the scientist mocks those with the ambition of becoming powerful scientists. Their failures represent the schadenfreude of the author, a sort of retaliation for the pretence of scientific knowledge. A central element in this on-going feud over contesting forms of knowledge is the figure who represents science. A detailed study of such semiotic characters from the medieval alchemist to the modern scientist indicates that they can be categorized within a small number of stereotypes: the arcane alchemist; the foolish virtuoso or later, the unsuccessful inventor; the unfeeling scientist remote from human concerns; the adventurer transgressing boundaries; the idealized, wise scientist; the obsessive researcher determined to pursue a project whatever the cost; the helpless scientist who has no control over his intellectual property (Haynes, 1994). Of these seven -stereotypes, only one, the idealised scientist, is unambiguously complimentary, the adventurer being a qualified hero who appeared only rarely and for short intervals, notably in the novels of Jules Verne. The idealistic scientist-rulers of Francis Bacon’s utopia New Atlantis (1626) govern with wise benevolence, voluntarily suppressing any knowledge potentially detrimental to the society, and the death of Isaac Newton in 1727 elicited celebratory odes depicting Newton, who had produced a comfortingly predictable model of the solar system, ascending to heaven to discover the (very) few astronomical facts he might have overlooked. 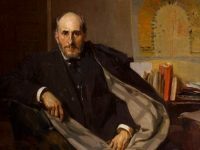 After World War I there were again some utopian novels advocating that scientists become the rulers of a world state to avoid future wars; and in mid-career H.G. Wells produced some bland utopias organized on scientific lines by unconvincing characters. With these few exceptions the vast majority of fictional scientists are depicted as either inept and foolish, or ill-intentioned and obsessive to the point of madness. Both these formats represent in part a counter-attack by humanists attempting to «answer back» to the powerful individuals and institutions of science. The former, parodic characterization, like cartoons of famous figures, acts to defuse fears about scientists by presenting them as stupid and their experiments as futile. From Chaucer’s hapless alchemist in «The Canon’s Yeoman’s Tale» (1475), the foolish virtuosi of the seventeenth-century stage and Swift’s Projectors of Laputa in Book II of Gulliver’s Travels (1726) (Haynes, 1994: 35–51), to the mad professors of twentieth-century comic films like The Absent-Minded Professor (1961), The Nutty Professor (1964, 1996), Honey, I Shrunk the Kids (1989) and many elements of the TV series Dr Who, these characters mock the would-be powerful scientist (Figure 2). Their failures represent a form of authorial Schadenfreude, retaliation against the pretensions of scientific knowledge. On the other hand, the master narrative of the mad, evil scientist functions as a warning. It depicts a dangerous over-reacher, obsessed with transcending human limitations, arrogant, secretive and hubristic. His introverted pursuit of his research overshadows all other responsibilities, leaving him impersonal, amoral and ruthless in achieving his ends. In most cases he precipitates a wave of retributive events, enacting our darkest nightmares that new, dangerous knowledge may trigger disastrous consequences or be deliberately misused. The mad scientist’s literary ancestors are Dr Faustus, Victor Frankenstein, Dr Jekyll, Dr Moreau, Griffin the Invisible Man and a host of others that can be multiplied many times if we include film. Indeed, Mary Shelley’s character Frankenstein has become an archetype in his own right, his name code for any experiment that misfires, such that his relationship with his creation has frequently become, in popular misconception, one of complete identification: Frankenstein is the Monster. Andrew Tudor calculated that mad scientists or their creations had provided the villains or monsters in one-third of horror films produced between 1931 and 1984 and that scientific or psychiatric research produced the greatest number (39 per cent) of the threats in all these horror films (Tudor, 1989). More recently Peter Weingart and colleagues have analyzed 222 movies and found that, even though a large number of the films presented scientists as benevolent, this was an ambivalent quality often based on naivety: the seemingly good scientists are often manipulated by powerful evil interests or may, themselves, become corrupted through ambition and, like their ancestor Dr. Faustus, be prepared to sacrifice ethical principles for knowledge (Weingart et al., 2003). During the Enlightenment period science became identified with materialism, rationalism and reductionism of living organisms to mechanisms. 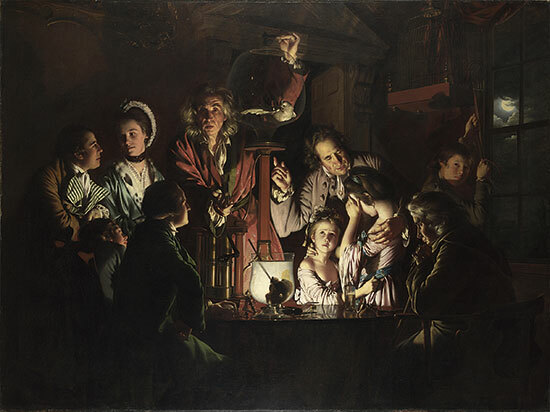 The whole spectrum of responses to science at this time is vividly captured in An Experiment on a Bird in the Air Pump (1768) by English artist Joseph Wright of Derby (Figure 3). The demonstrator presiding over the air-pump experiment, which had been designed by Robert Boyle of the Royal Society to show that air is necessary to support life, stands poised to reintroduce air into the jar so that the bird may revive; but he waits till the bird is on the point of death, in order to dramatize the effect. His rapt expression and anachronistic garb suggest the alchemist totally preoccupied with his experiment. The man in the foreground carefully records with his watch the precise time taken for the bird to lose consciousness – or die; the other man and the young assistant at the bellows are also focussed on the experiment. They represent the new fascination with science divorced from humane concerns. The young lovers are interested only in each other and make use of the dimmed lights to gaze into each other’s eyes. By contrast, the children whose values in literature are nearly always closer to Truth, fear for the suffering bird reduced to experimental data. Figure 3. Joseph Wright of Derby. An Experiment on a Bird in an Air Pump, 1768. Oil on canvas, 244 x 183 cm. During the Enlightenment science became identified with materialism, rationalism and reductionism of living organisms to mechanisms. In Wright’s painting, the alchemist is totally absorbed by his experiment. By contrast, the children whose values in literature are nearly always closer to Truth, fear for the suffering bird reduced to experimental data. Reification of living beings was anathema to the Romantic writers who, with few exceptions (notably the German Romantics Novalis, Friedrich Schlegel, Goethe and J.W. Ritter, all of whom had studied science) mistrusted scientists’ ability to evolve an organic world-view. They launched a radical attack against scientism, claiming that it omitted the most important human experiences – emotions, intuition, the power of imagination and the subconscious, and the healing properties of nature. The English poet William Blake (1820: 685) directed his condemnation at Newton as the arch-mechanist, Francis Bacon as the prophet of experimental science, and John Locke who taught that we know only through our five senses. Blake’s engraving Newton  (Figure 4) symbolises his response. It shows a youth measuring with dividers the base of an equilateral triangle drawn on a scroll. The curve of the youth’s bent back parallels the arc inscribed in the triangle and the triangular forms of his right leg, left wrist and stretched fingers of both hands, repeat the angle of the dividers and of the drawn triangle, implying that his humanity has become a mathematical parody of itself (Damon, 1979: 299). During the twentieth century fictional scientists were often dangerous anarchists, holding society at ransom with the weapons and procedures of real scientists – biological warfare and x-rays. Later, like their counterparts, they created nuclear weapons just because they could, and experimented on transmutation of species and organ transplants, manipulating the human genome through genetic engineering and cloning, and devising new modes of psychological conditioning. These scientist characters stand condemned for their inhumanity and their obsessive focus on a particular line of research, often irrational in conception, for fictional scientists seem unable to envisage the likely consequences of their experiments. So Frankenstein famously expected his creation, constructed of a disparate body parts, would be a creature of beauty and light. Throughout the months of its construction he never foresaw its actual state, until the moment of his experimental success when the Creature comes alive, that his creator saw its hideous form: «I saw the dull yellow eye of the creature open; … now that I had finished, the beauty of the dream vanished, and a breathless horror and disgust filled my heart» (Shelley, 1996: 34). It is an integral and essential part of such fiction that the scientists almost invariably, receive retribution in the form of «poetic justice» from their own experiments (Figure 5). Wells’s Dr Moreau is killed by the Beast People he had created and intended to civilize (Wells, 1967), a scenario that has formed the basis of numerous film versions with techniques updated to keep pace with current research: surgical transplants followed by biotechnology and then genetic engineering. In The Fly (1958 and 1986) André Delambre (Seth Brundle in the 1986 film) develops «telepods» whereby living things could be transported at a molecular level between pods. While experimenting on transporting himself, he fails to notice a fly in the receiving pod and his molecules become fused with those of the insect so that he experiences progressive atrophy of human characteristics and an increase in fly-like features. In The Boys from Brazil (1978) and Jurassic Park (1993) biologists attempt to clone Adolf Hitler and dinosaurs respectively from residual DNA, with similarly disastrous results. A peculiarly twentieth-century image was that of the well-meaning scientist whose discoveries are taken over by powerful forces (corporations, governments, the military) and who is no longer able to control the direction they take. These scientists do not intend evil to result from their work, nor do they deliberately isolate themselves from their fellow human beings; on the contrary, most begin with high moral intentions; but, willingly or not, they have lost control in either the technological or the managerial sense to the corporation that employs them. As Spencer Weart (2001) has observed, «[M]any of the fears about science and technology are actually not fears about science and technology itself – they are concerns about the social system, expressed by people who feel they do not have control over the decisions being made». It is therefore of considerable interest that, in the twenty-first century, a significant number of novels have appeared in which the scientist characters are not stereotyped as evil, dangerous or stupid but developed as ordinary people whose science impacts on their lives only in the same way as any other profession might, interacting with other human concerns – family, friendships, love, loss, finances, illnesses, politics, grief and ethical issues. Their precursors were H.G. Wells’s scientist novels Ann Veronica (1909) and The World Set Free (1914) and C.P. Snow’s The Search (1934), The New Men (1954) and The Affair (1960). The class of novels which has been designated «lab-lit» intersects with this group but also explores a particular scientific issue through the thoughts and actions of the characters. Lab-lit authors are also concerned to understand and convey how the actual process of doing science «works», how scientists think both inside and outside their laboratories, and the ethical issues that confront them in their milieu. Figure 4. William Blake. Newton, 1795. Ink and watercolour on paper, 60 x 46 cm. 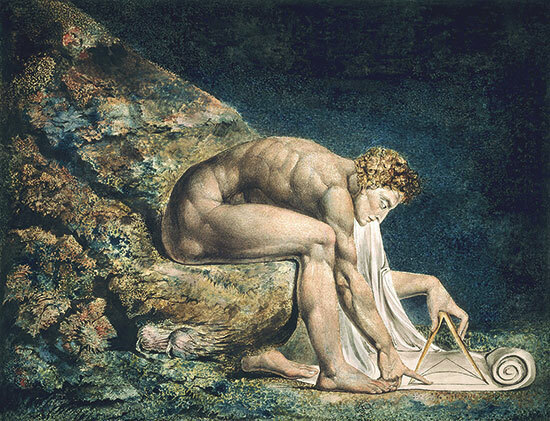 The English poet William Blake targeted Newton for condemnation as the arch-mechanist, suggesting his humanity had become a mathematical parody of itself. Why has this new interest in scientists as real people arisen? 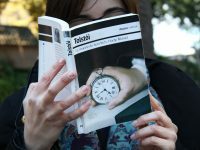 Jennifer Rohn, who coined the term «lab-lit» (Rohn, 2009), speculates that a critical mass of respected authors turning to lab-lit may have inspired other writers, as well as publishers, to see a future in this sub-genre and the momentum is now under way. But I want to suggest a number of other possible reasons for the rising popularity of lab-lit and the corresponding demise of both the foolish inventor and the mad, evil scientist. First of all, our generation is more familiar than any previous one with scientists as presenters on TV. Pioneered by Carl Sagan and Jacques Cousteau, the multiple BBC series by David Attenborough on biology, Iain Stewart’s Earth series (2007), Jim Al-Khalili’s Chemistry (2010), Jane Goodall’s documentaries about chimpanzees (1984 – 2011) and Brian Cox’s astronomy series Wonders of the Solar System (2010) and Wonders of the Universe (2011) as well as the many Nature programs on the National Geographic and Discovery channels bring scientists out of the laboratory, showing them as outdoors adventurers, engagingly curious about our planet, respectful of the environment, attractive, eloquent better-educated versions of us: charismatic teachers without strings attached. In addition, with the resources of the Internet, we are better able than ever before to educate ourselves about scientific research, especially in medical science, and its implications, at whatever level we choose. We no longer feel we are at the mercy of what scientists may tell us in the media. The once-specialized knowledge of science has become democratized, no longer an instrument of power for the few. Writers no longer «need» scientists to represent the feared and powerful «Other» to provide a source of horror. There are many other contemporary contenders for that role: insane gunmen, religious fanatics, finance organizations, international chemical, mining and pharmaceutical companies, terrorists. Their activities are far less controlled than those of scientists, whose projects must be cleared by ethics committees. 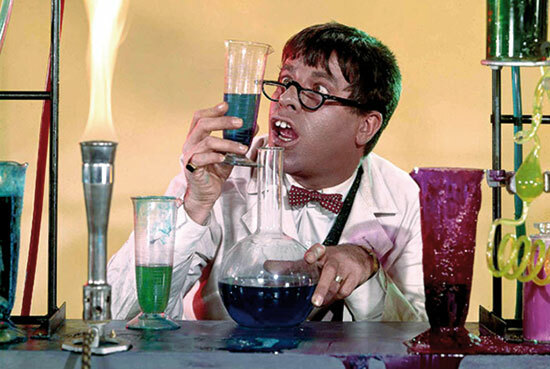 Furthermore, laboratories are no longer updated versions of the alchemist’s cave but, as presented on TV clips, particularly those featuring medical research, they are light, bright and staffed by equal numbers of men and women, mostly young, enthusiastic about the social and humanitarian benefits of their work, and bearing no resemblance to either alchemists or Albert Einstein. Over the last two decades particularly, scientists have realized the need to become better communicators if they wish to popularize and legitimize their research and to access funding. Usually scientists have neither the time nor the contacts to achieve this alone but rely on journalists to bridge the communication gap between their own conceptual understanding and that of laypeople. For scientists who formerly dealt only with their peer group, erecting a boundary to protect the knowledge-creation process against the «corrupting external influences of, for instance, money, political power or political correctness», this is a new «boundary-crossing activity» that requires considerable trust in journalists (Peters, 2014). Some scientists like the cell biologist Jennifer Rohn have become so interested in the communication process that they themselves have written fiction – not just science fiction but mainstream fiction about scientists – like themselves and their colleagues. She has written two novels, Experimental Heart (2009) and The Honest Look (2010), about young research scientists engaged in ground-breaking «celebrity» research into cancer and Alzheimer’s Disease, and the recurrent problems and ethical issues raised by the pressures in such a competitive environment to publish results quickly. Allegra Goodman’s Intuition (2006) explores the tinderbox situation in a financially-struggling research institute when a young post-doc is accused by a colleague of falsifying his results. In other contemporary science novels, the researchers undertake fieldwork into environmental issues, with considerable danger to themselves, providing a level of drama. In William Boyd’s Brazzaville Beach (1990) Hope Clearwater, a biologist studying chimpanzees in Africa, has attempts made on her life when her observations call into question those of the project director. In Sara Gruen’s Ape House (2010) a female scientist at the Great Ape Language Lab determines to save «her» family of apes from commercial exploitation and trauma. In Amitav Ghosh’s The Hungry Tide (2004), a marine biologist is drawn into grave physical danger and political turmoil in her crusade to save river dolphins in the Bay of Bengal. In Pippa Goldschmidt’s The Falling Sky (2013) a young astronomer makes an observation that appears to challenge the established cosmological paradigm of the Big Bang. The intense and isolating collegial jealousy this provokes increases the personal family trauma she has carried from childhood. Figure 5. Science on TV brings scientists out of the laboratory, conveying another stereotype of the scientist: an adventurer, engagingly curious about our planet, attractive… Jane Goodall (above), David Attenborough (on the right) or Carl Sagan are some examples. These diverse settings, the varieties of plot they make possible, and the level of authenticity generated by novelists writing from first-hand experience, have overturned the simple dichotomy between scientists and others. Significantly many of the protagonists of lab-lit are female scientists, who have rarely been part of the earlier stereotyping. Another of the reasons for the popularity of the genre is that we are now much more accepting of taboo-breaking discoveries and inventions and hence of the scientists who propose them. This is particularly true of matters of birth and death but it applies to other social issues as well. We can compare the reception of the contraceptive pill in the early 1960s with that of genetic selection of embryos in the ‘90s. Embryo transfer, surrogacy, selection against embryos with incurable genetic diseases, stem cell research, genetic engineering and organ transfer are now able to be explored objectively in novels and the ethical issues rationally discussed. Ricki Lewis’s novel Stem Cell Symphony (2008) communicates both the concepts and the socio-political issues, enacting a resolution of the impasse between researchers and those categorically opposed to stem cell research on religious or humanitarian grounds. Another significant factor leading to the demise of the evil scientist is the preoccupation with environmental issues. Until recently scientists were blamed for destroying the environment by producing pesticides, radioactive contamination from nuclear weapons and power-station accidents, chemical waste, monocultures, hormonal feed supplements, etc. Although the research for these was necessarily conducted by scientists, these evils are now more commonly laid at the door of their employers – pharmaceutical companies, medical research laboratories, gene banks, agri-business and mining corporations, while scientists are likely to be cast as heroic eco-warriors, using their authoritative knowledge to educate governments and society about climate change and environmental crises and to propose actions to mitigate these disasters. A considerable number of recent science novels and films focus on these issues – Susan Gaines’s Carbon Dreams (2001), Amitav Ghosh’s The Hungry Tide (2004), Avatar (2009). The new genre of lab-lit and associated novels about contemporary scientists is defusing the longstanding enmity between scientists and others that has been an ongoing issue in fiction for five hundred years. 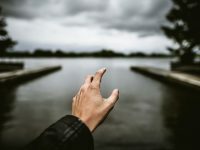 Non-scientists no longer need to fear and resent scientists as a sinister and powerful «Other»: they are achieving parity of status by communicating their research and becoming allies in a common environmental purpose. Blake, W., 1820. «Jerusalem». In Keynes, G. (ed. ), 1966. The Complete Writings of William Blake. Oxford University Press. London. Damon, S. F., 1979. A Blake Dictionary. Thames and Hudson. London. Duncan, E. H., 1968. «The Literature of Alchemy and Chaucer’s “Canon’s Yeoman’s Tale”». Speculum, 43(4): 636-637. DOI: <10.2307/2855324>. Haynes, R. D., 1994. From Faust to Strangelove: Representations of the Scientist in Western Literature. Johns Hopkins University Press. Baltimore/London. Haynes, R. D., 2006. «The Alchemist in Fiction: The Master Narrative». HYLE: International Journal for Philosophy of Chemistry, 12: 5-29. Peters, H. P., 2014. «The Two Cultures: Scientists and Journalists, not an Outdated Relationship». 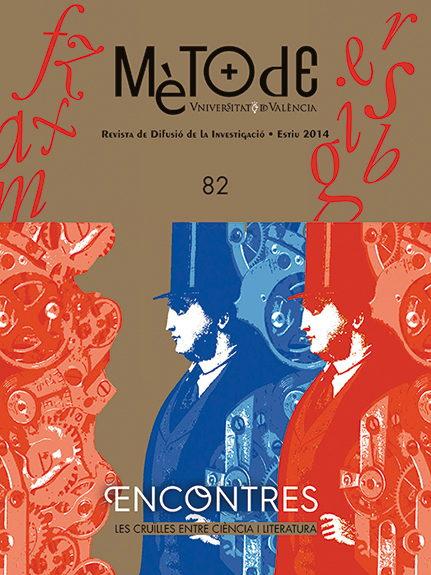 Mètode Sciences Studies Journal, 4: 163-169. DOI: <10.7203/metode.80.3043>. Rohn, J., 2009. «More Lab in the Library». Nature, 465(7298): 552. DOI: <10.1038/465552a>. Shelley, M., 1996. Frankenstein or the Modern Prometheus. Norton. New York. Snow, C. P., 1959. The Two Cultures. Cambridge University Press. Retrieved 10 April 2014. Tudor, A., 1989. «Seeing the Worst Side of Science». Nature, 340(6235): 589-592. DOI: <10.1038/340589a0>. Weart, S., 2001. Celluloid Scientists. BBC, 26 July. Radio 4. Weingart, P.; Mühl, C. and P. Pansegrau, 2003. «Of Power Maniacs and Unethical Geniuses: Science and Scientists in Fiction Film». Public Understanding of Science, 12(3): 279-287. DOI: <10.1177/0963662503123006>. Wells, H. G., 1967. The Island of Doctor Moreau. Penguin. Harmondsworth. Roslynn Haynes. Adjunct Associate Professor of School of Arts and Media. The University of New South Wales (UNSW), Australia. Honorary Associate of School of English, Journalism and European Languages. University of Tasmania, Australia.